Thank you so much for everything Diane, working with you was an absolute pleasure! 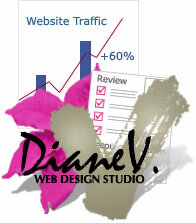 Since your website evaluation our website traffic has increased 20% after implementing only two of your ideas. We will definitely be doing business in the future. Our search engine optimization reviews can help you to achieve high search engine rankings and attracting interested visitors to your website. Search Engine Optimization is a coined term which means to construct websites so they rank highly in search engines. That is, making them match as optimumly as possible the search engines' formulas for high placement for the terms your target market would use to find your website and your services and products. Historically, the need for search engine optimization arose because most people reach websites through search engines, and simply having a website does not guarantee that people can find it in search engines. Of course, you can pay to get visitors to your website, but search engine optimization does not necessarily involve such ongoing advertising costs. However, while websites should be optimized for search engines when they are built, most web design companies do not offer such services, or may have dated information about how to place highly in search engines. In fact, that is the main problem with trying to learn how to "SEO" a website — it can be difficult to judge whether the information one reads is correct. Another is simply not having enough technical expertise to understand or implement what's being said. One of the benefits of SEO is that it can enable your website to attract visitors without paying for ongoing advertising fees at search engines. In most cases, you can reach a very wide audience simply through optimizing your website. Even if you conduct paid Internet marketing campaigns (ads, banners, paid listings), adding search engine optimization to your advertising arsenal is a good two-pronged approach to increased visitor traffic and sales. Unfortunately, incorrect and/or outdated information about SEO abounds on the Web alongside often incomprehensible insider jargon. Worse, websites "optimized" using risky techniques can be penalized or even outright banned by search engines. This, of course, poses a large problem for website owners. The answer is a clearer understanding of what works and doesn't work, and what is and isn't risky. Rather than focus on one facet — search engine rankings — our focus is on marketing and sales. We've been optimizing websites since 1998, and have devised a "no tricks" approach to search engine optimization that has gained high search engines rankings for many of our clients over the years without risking their overall online marketing standing or strategies. We've opted instead to build solid, competitive websites from which our clients can conduct their Internet marketing campaigns over the long haul. Done right, your website's rankings achieved via search engine optimization may last almost indefinitely without the constant need to "tweak" your pages or resubmit to the search engines every time they change their ranking formulas (or "algorithms"). That said, how long it will take or last depends on two things: what you do, and how competitive your search terms may be. While free services are of benefit to the online community, we recognized a need for confidential, professional consultation to enable webmasters and companies to enhance the ability to "do it yourself" using non-risky techniques. Your SEO Review will be conducted by Diane Vigil, who has been active in online webmaster forums since 1998, serving as an administrator at JimWorld's Search Engine Forums for two years, as a moderator at the cre8asite forums and on the Experts Panel at Site Report. Our search engine optimization techniques include not only optimization of text (also referred to as "SEO copywriting") but the structural building and recoding of websites to be both search engine friendly and optimized for high rankings. Our methods are not difficult to learn, and can help you to gain higher search engine rankings and attract interested potential customers to your website. 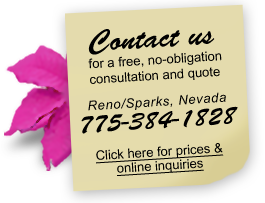 Get a thorough, in-depth written search engine optimization review plus a one-hour telephone consultation. Our review of your website will include a thorough review of your website with regard to search engine optimization as well as marketing and design issues and usability gives the best bang for your buck. It's a two-pronged approach: you get both a chance to improve your search engine rankings, and to improve your website's ability to convert visitors to customers. The search engine optimization review will cover what elements need to be improved, how to do it, and what's been left out; specifically, what to do in order to enhance seriously your chances of ranking well for specific search terms. In addition, we'll review your website for visual impact, marketing and sales-related issues, and address how you might enhance and improve your website. Your written review will be emailed to you, and your one-hour telephone consultation can be used to ask questions and get answers. Afterwards, if you choose to hire to us do the work, we'll deduct the amount of your Review from our normal fees. We believe that you will find our professional SEO consultation/site review an excellent value that will contribute to your company's increased growth. Not only that, but you can combine your Search Engine Optimization Consultation Review of your website with our Website Review and Consultation. This gives you a one-two punch that can help your website better achieve its goals — and yours.